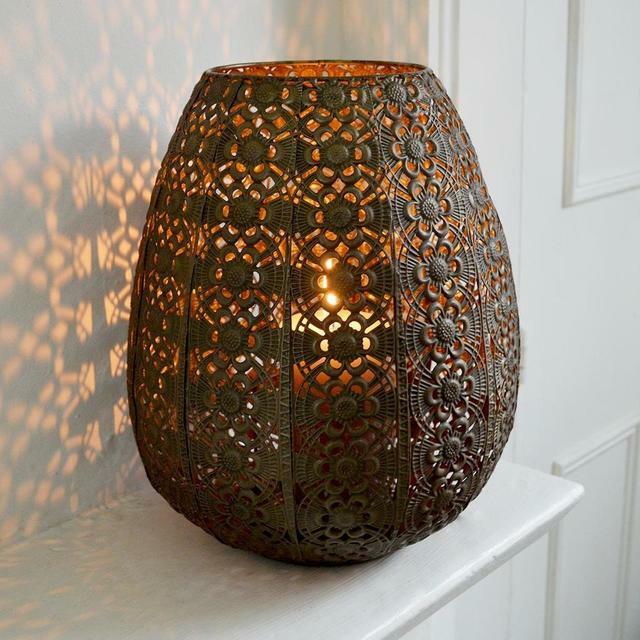 Antique bronze effect metal hurricane lantern. 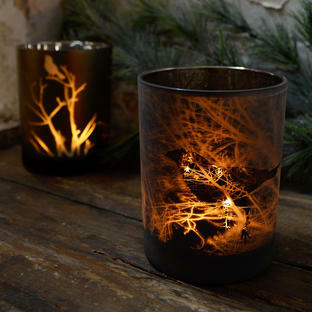 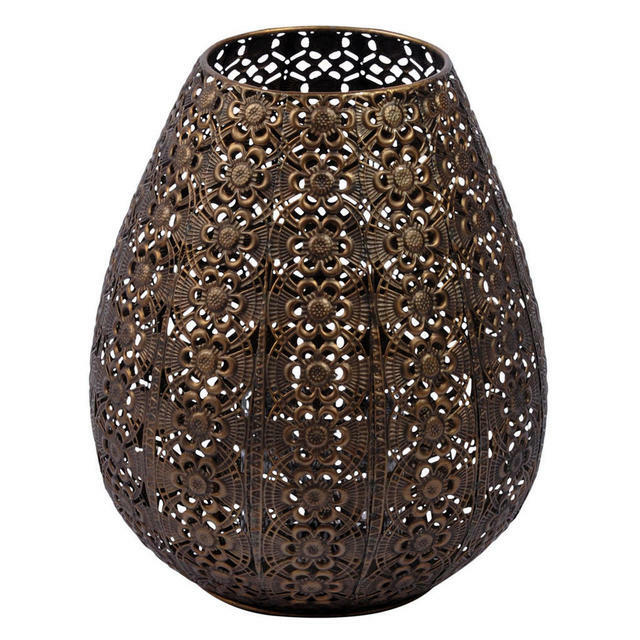 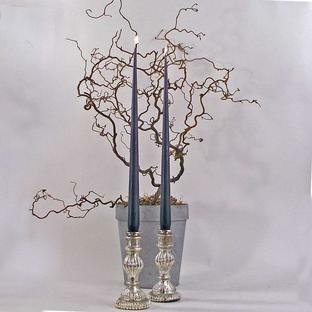 Just add a candle for a delightful flicker of the flame through the ornate filigree pattern. 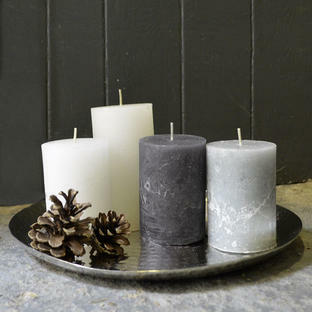 Inspiring a calm and relaxed atmosphere. 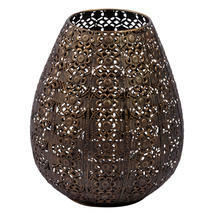 Made from metal with a filigree pattern.